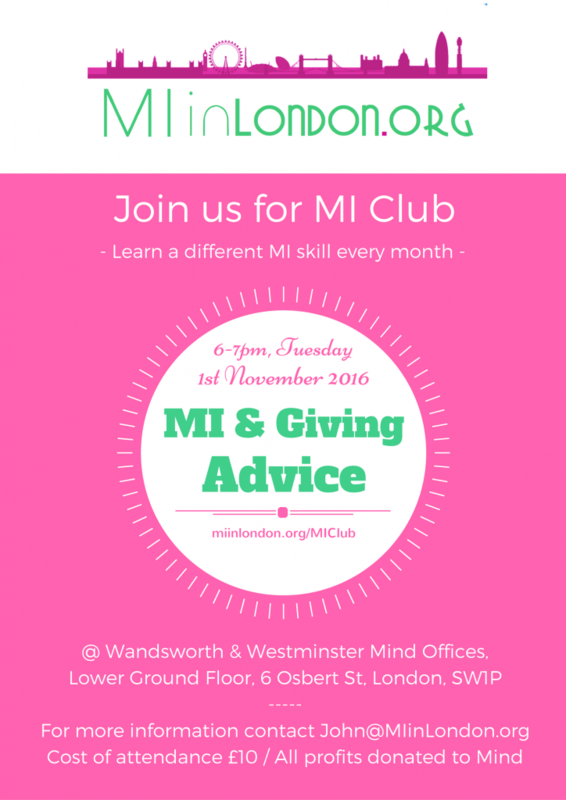 It’s here, on November 1st 2016 come and learn a new MI skill. Cost of attendance: £10 (Cash and Card accepted). We’ll be introducing Giving Advice in Motivational Interviewing. We look forward to seeing you there. To see where we meet you can find us here, get times and details for each session. This entry was posted in Blog, Meeting Announcements, Motivational Interviewing London UK. Bookmark the permalink.